Personal injury lawsuits are filed so that the victims of accidents that occurred as a result of negligence can receive compensation from the person or party responsible for an accident. Since the legal system is very complicated, it pays for you to have an advocate on your side who will fight for all of your legal entitlements. That's where it pays to speak with a skilled personal injury attorney. One question that we get asked a lot by clients is what damages are exactly. This is not a silly question. In fact, we think it's important that this issue is properly addressed. Let's take this opportunity to go over the different kinds of damages in a personal injury lawsuit so you understand what they entail. Broadly, damages refers to the amount of money sought in a personal injury lawsuit. 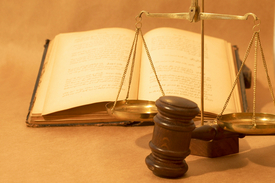 There are two kinds of damages: compensatory damages and punitive damages. Both are different, so let's examine each one by one. In the case of a wrongful death lawsuit, compensatory damages will also cover funerary costs, loss of companionship, and other matters related to the passing of a loved one. Since the majority of compensatory damages are attached to actual items or losses, the amount of damages sought is tabulated by adding up all of the losses sustained. With regard to the compensation for pain and suffering, this can determined using similar cases as a guide. Say that a client has been injured in an auto accident caused by a drunk driver. During a personal injury lawsuit, the car accident lawyer will seek damages in order to cover the medical bills, the damage to the victim's vehicle, damage to any goods in the vehicle, wages lost from work, and the cost of physical therapy if the accident proved severe and impaired the victim in some way. Punitive damages are sought in order to punish the party who is responsible, ensuring that similar actions do not occur again in the future. When the negligent party is a business or other kind of organization, this can send a message to similar groups out there to avoid this sort of negligence in the future for there are dire legal ramifications. Punitive damages are tabulated by using similar cases as a guide. The severity of the incident and/or the number of people affected by the negligence will often affect the total sought. Say that a toy manufacturer has released a product that poses a choking hazard to children who are in the age group that would play with this toy. Personal injury attorneys would seek out clients whose children were similarly effected and seek damages to deter the designers and manufacturers from making toys like this again. If you would like to learn more about all of your options during a personal injury lawsuit or a related legal action, we encourage you to contact a Torrance personal injury attorney today. The entire team here will be sure to answer any and all questions that you may have so that you can move forward with your case with confidence.